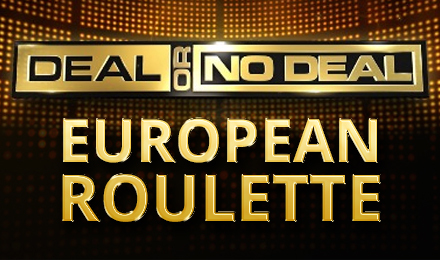 If you love the TV show, you're going to love the roulette game! There are two bonuses and loads of chances to win big! Will you make the deal? When the Box on the outer wheel aligns with the Roulette ball, you'll activate the Deal or No Deal Bonus – choose a lucky box, then select boxes to reveal the amount inside. Once this is complete, the Banker will make you an offer, and you'll have to choose DEAL (the Banker's offer) or NO DEAL to continue playing. There's also a Banker's Spin Bonus, which will begin when the Telephone lines up with the Roulette ball. You'll have 3 spins to claim the top prize!